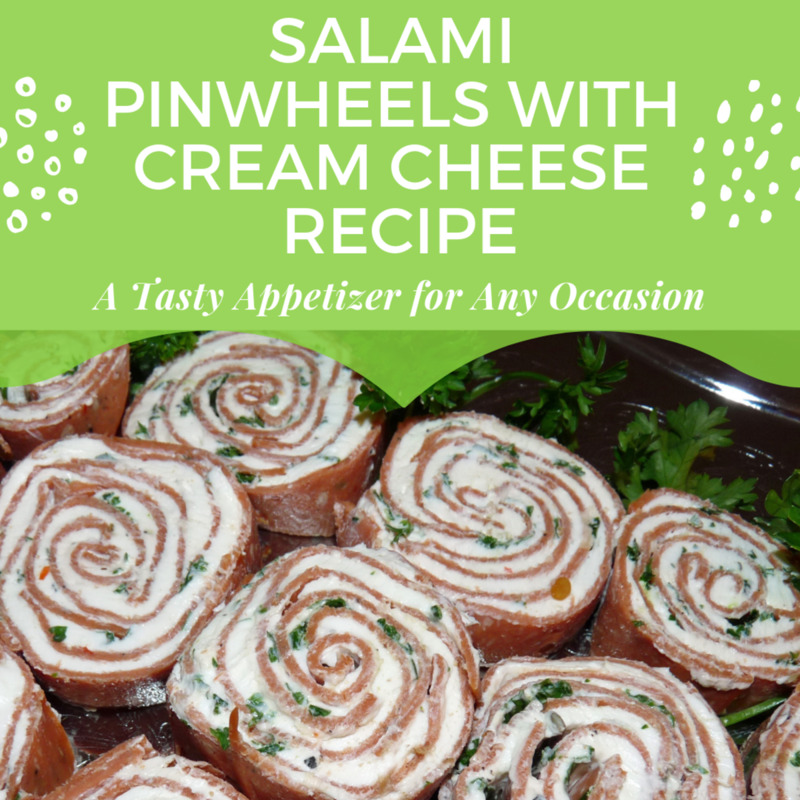 My mom and I have spent hours over the years discussing appetizers and party foods, especially when she was an active member of the Women’s “Circle Group" of her church. Once a year she hosted, and it was like a competition the way these ladies tried to outdo each other with new and surprising treats. These are some ideas I put together for quick easy appetizer recipes. Many are so easy, they don’t really need a recipe, or can be bought ready-made. 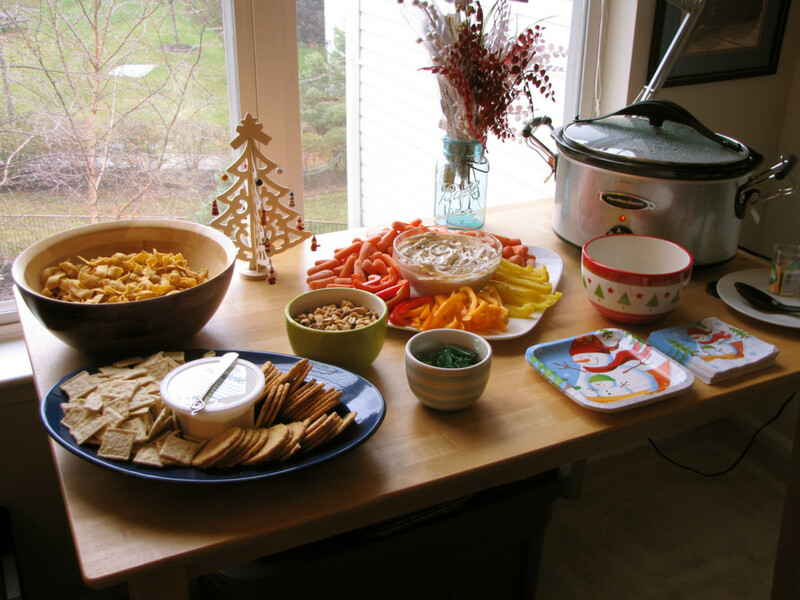 Even for a small gathering it’s still nice to have several dips or spreads for tortilla chips, potato chips, wheat thins or raw vegetables. Dips are relatively inexpensive, and most are quick and easy to make. In college, my internship roommate and I would have coffee table junk food smorgasbords. We'd buy multiple kinds of chips and dips, and feed our school stress. 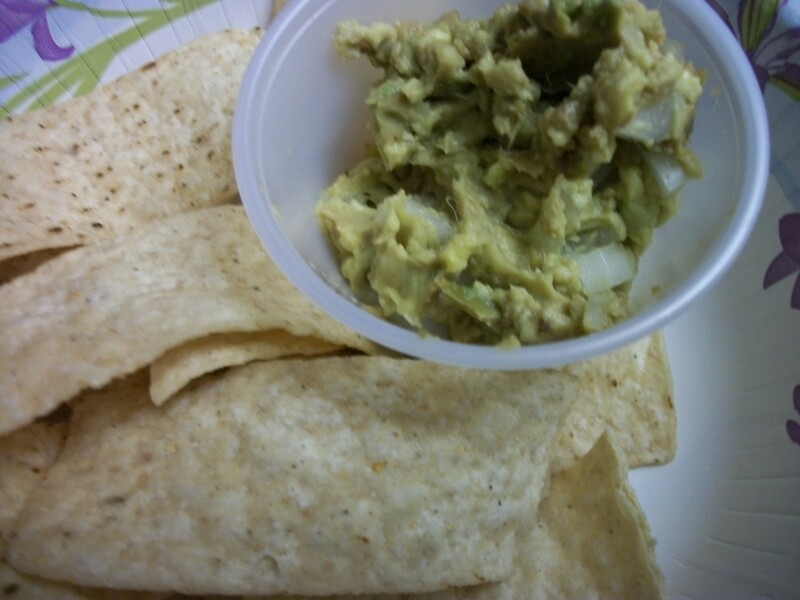 If you’ve never bought avocados and made your own guacamole, don’t be intimidated! I’m not encouraging you to bruise the produce, but the avocados should be slightly soft, and “give” a little when you hold them firmly. 1. Cut the avocados in half. The seed is large and very hard. 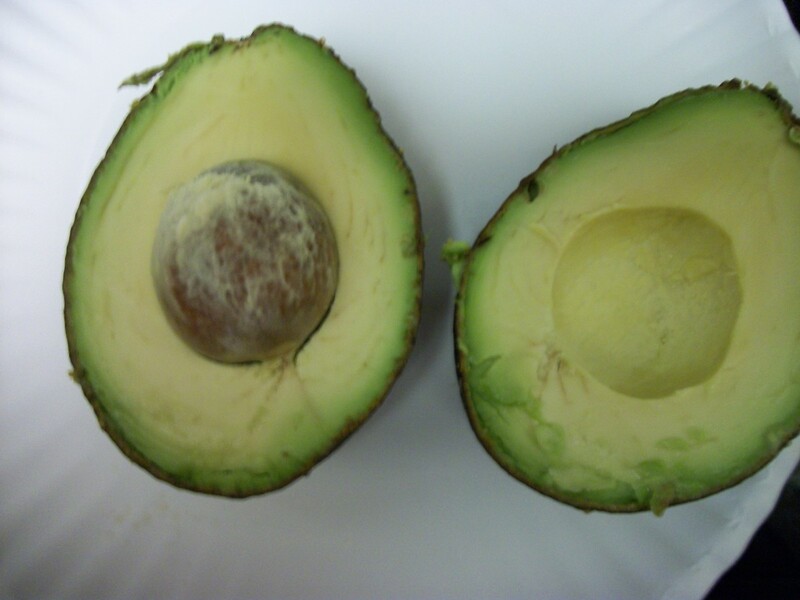 Run your knife lengthwise around the avocado, then give it a twist and one side should pull away, leaving the seed on the other side. Remove the seed. 2. Use a spoon to remove the soft flesh of both halves. Mash the avocado with a fork. 3. Add chopped sweet onion and a little salt. Stir to combine. 4. 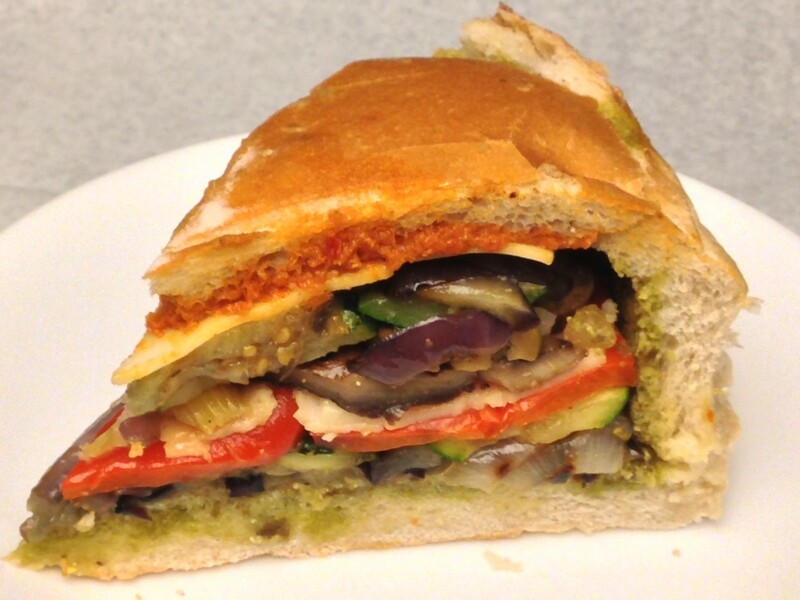 You can add chopped, drained fresh tomato, but we like it with just the onion at our house. 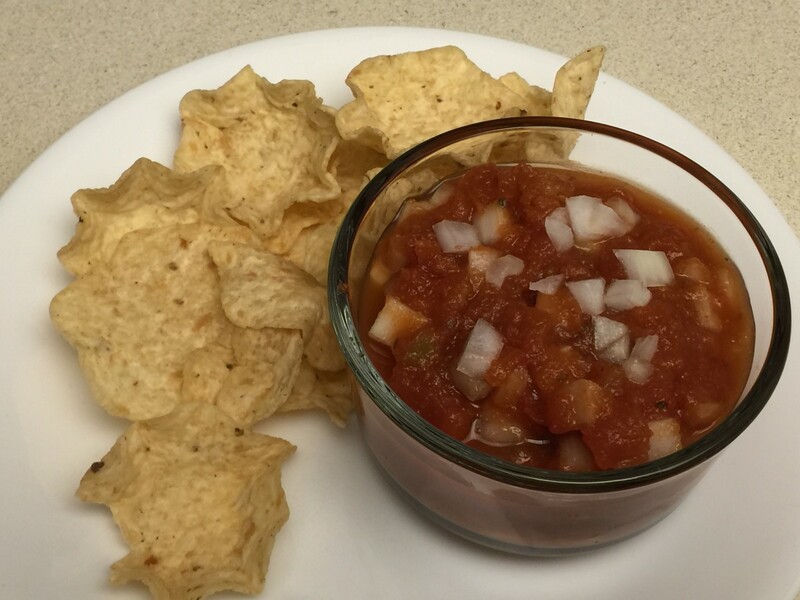 Buy a jar of your favorite salsa. Then add a bit of something fresh. This is quick, but seems a little more homemade. Serve with tortilla chips. Sam’s Member’s Mark Bruchetta is really good with chips too. 1. Melt Velveeta. Most do this in the microwave, but you can melt on the stovetop in a non-stick pan. Stir frequently until completely melted. 2. 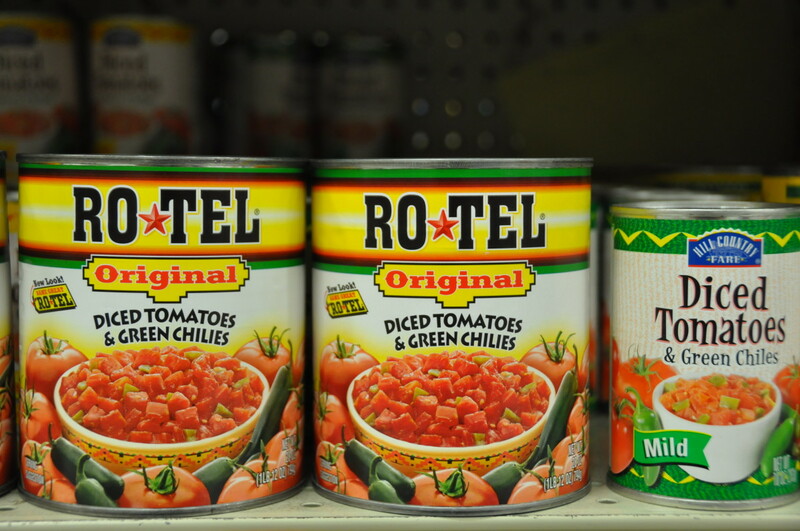 Add Ro-Tel tomatoes. Stir to combine. 3. Transfer dip to a small crock pot to keep warm for your gathering. Serve with tortilla chips or other favorite chips. 1. Heat beans. Add water if necessary until creamy. 2. Mix in a little sour cream if desired. 3. Place in serving dish. Top with cheddar or Monterrey Jack cheese. Heat to melt cheese. 4. Serve with tortilla chips or other favorite chips. 1. Wash, then spin or pat herbs dry. Finely chop and measure about 2 taplespoons. 2. 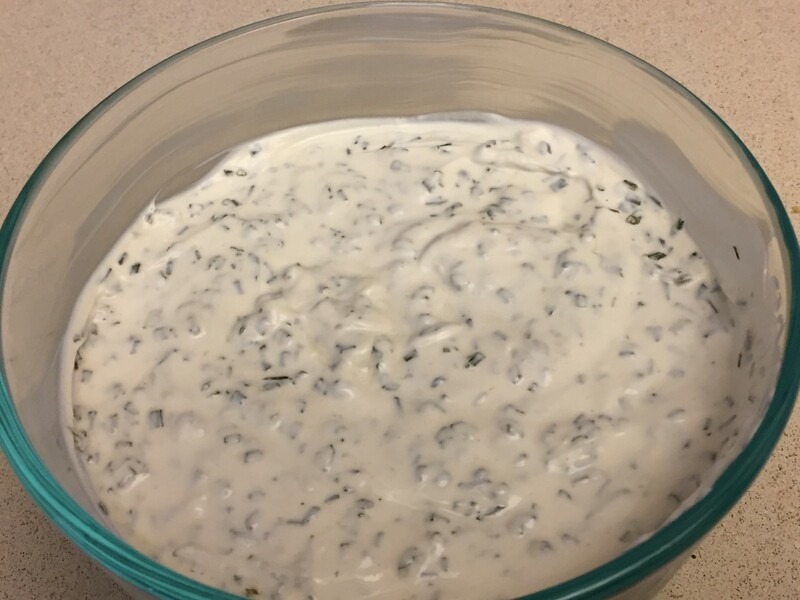 Thoroughly mix herbs into sour cream (or sour cream and yogurt mixture). 3. 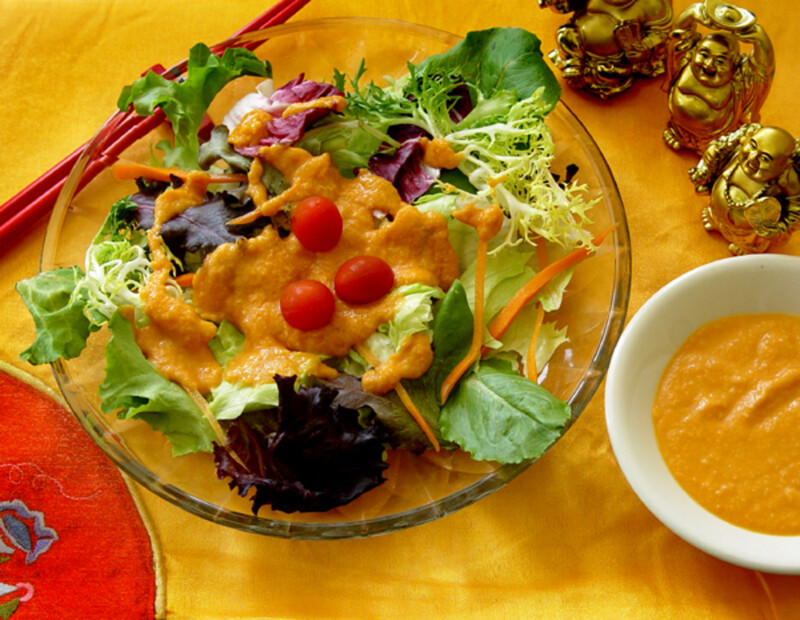 Serve chilled with chips, crackers, or raw vegetables. 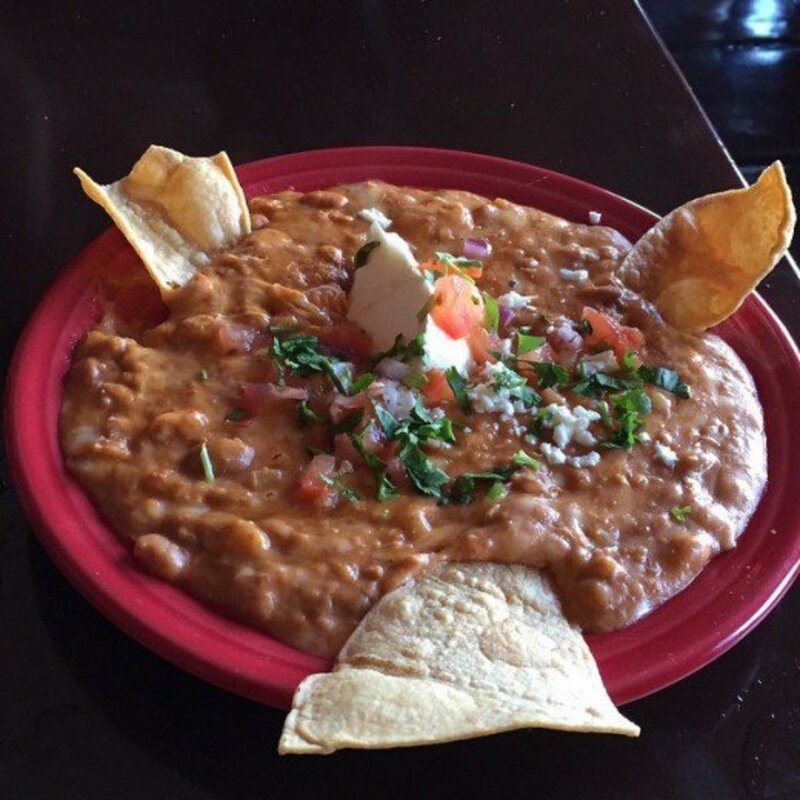 This dip is always a crowd pleaser. 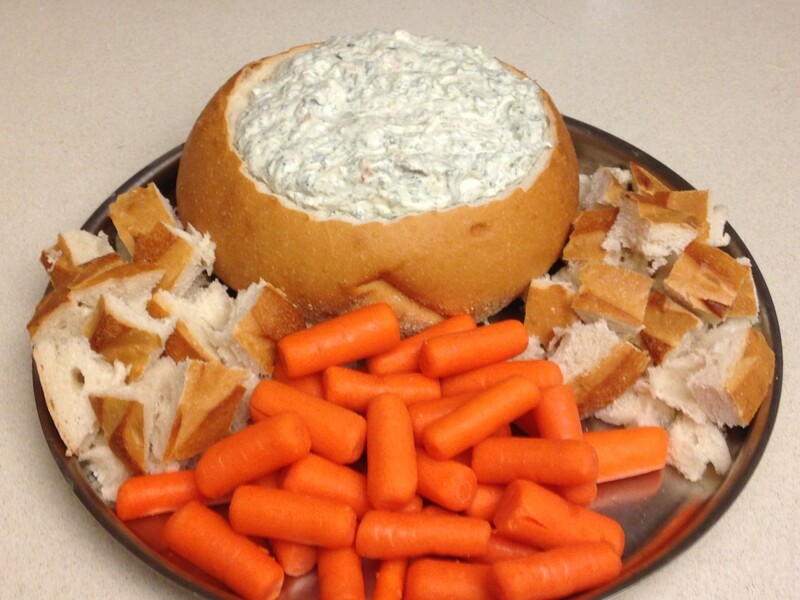 If you want to really make an impression, buy a large round Hawaiian bread and hollow out the center for the dip. Cut the bread you removed into cubes to use with the dip. 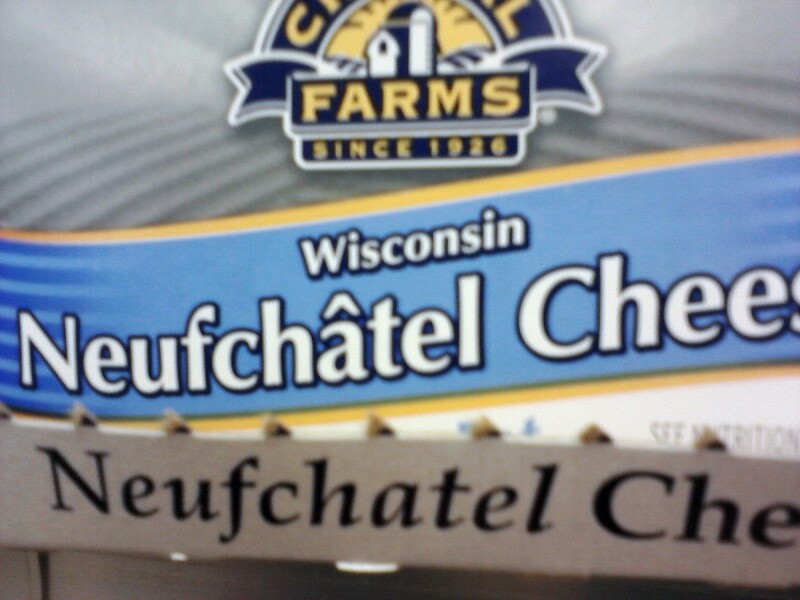 Also good for chips, crackers, and raw vegetables. 2. Chill at least 4 hours before serving. Serve with chips, bread cubes, or vegetables. 1. 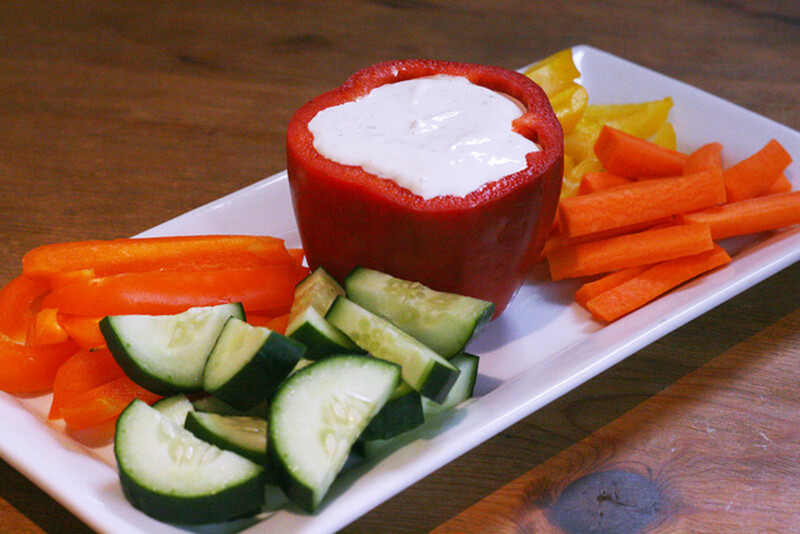 Mix one package of Ranch Dressing or Dip mix with sour cream or half sour cream and half Greek yogurt. 2. 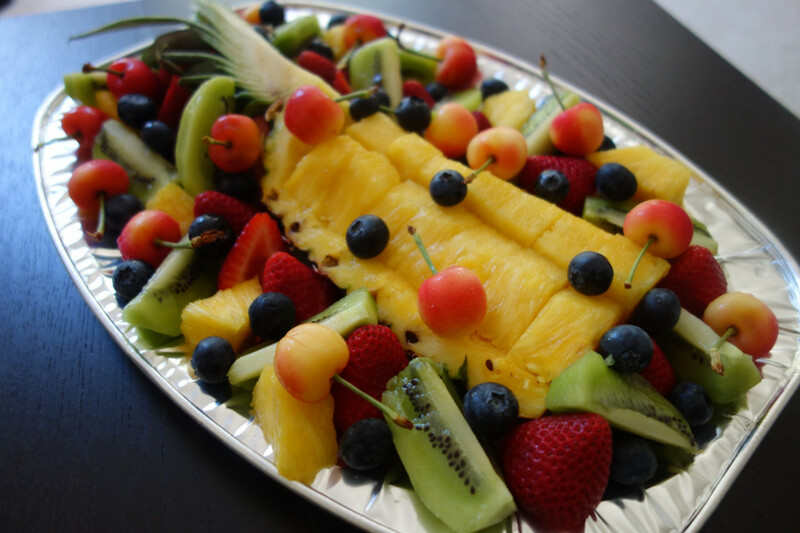 Serve chilled with chips or raw vegetables. This is a mix I started buying from Hampe House in Gruene, Texas, 10 years ago. Hampe House is now out of business, but my brother tracked down the company who packaged the dips, Country Home Creations. That's where I order my dip mix, but you can also get Chili Con Queso mix at The Old Mill. 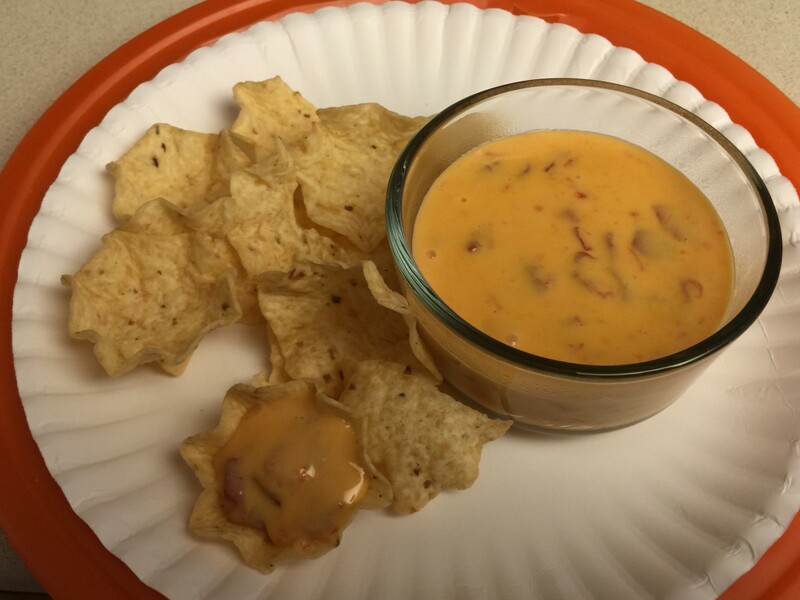 I make my queso dip with 1 ½ cups plain yogurt and ½ cup sour cream or mayo. I try to always have packages of this mix on hand. 1. 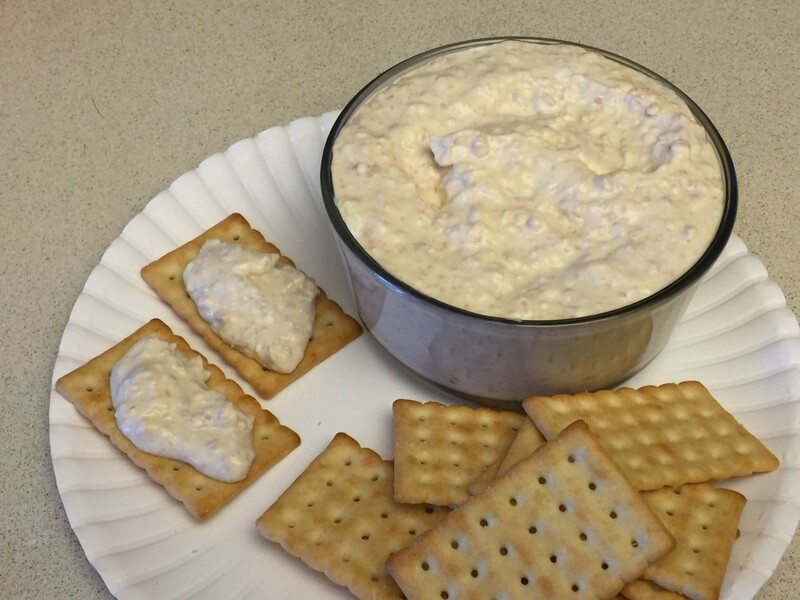 Blend dip mix into sour cream, or yogurt and sour cream. 2. Refrigerate at least 4 hours. 3. Serve chilled with chips or vegetables. I'm partial to baby carrots. Country Home Creations also sells sweet dips and spreads, made with cream cheese, or cream cheese and sour cream. I can personally vouch for the cherry almond and blueberry walnut spreads. Serve on something like Town House crackers. Yogurt: Blend in a little softened cream cheese into vanilla yogurt to make it a bit thicker. Pudding: Try chocolate pudding for dipping. Stir in some powdered sugar if you want to make it a little sweeter and more textured. 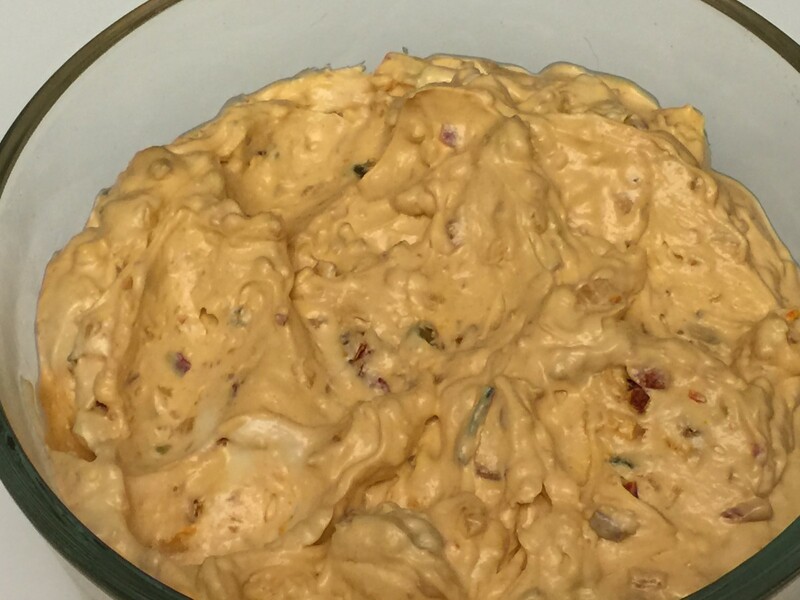 Caramel Dip: Combine 8 oz softened cream cheese with one container of caramel apple dip. PBJ Dip: Blend together approximately equal amounts of peanut butter and jelly. 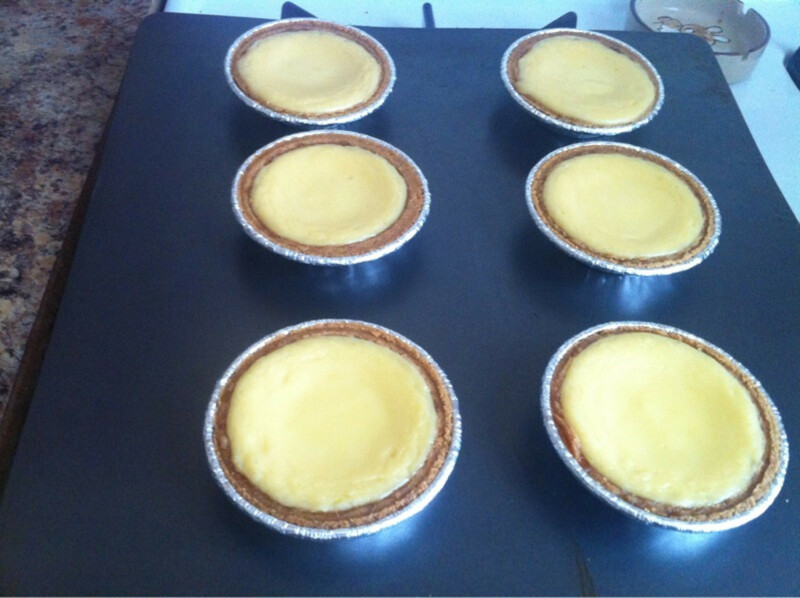 Cream Cheese: Blend together 1 cup mayonnaise and ¼ cup lemon juice. Then blend in 8 oz softened cream cheese. Add more lemon juice if needed for desired consistency. Cucumber spread or topping is popular in Mediterranean culture. The Turks call it Cacik and the Greeks call it Tzitziki. Since I lived in Turkey for 3 ½ years, my version is Turkish-inspired. To most Turks, cacik is actually more like a cold soup. The "American version" served in restaurants near the base is very thick and spread-able, and served with pita bread. 1. Chop cucumbers very small, or coarse grate. They should be relatively dry if chopped, but pat off excess moisture with paper towels. If grated, they will be very wet. Spread onto several layers of paper towel, and place towels on top as well. 2. Combine cucumbers with yogurt or sour cream. 3. Add garlic, dried mint, and salt to taste. Combine thoroughly. 4. Serve with pita quarters. 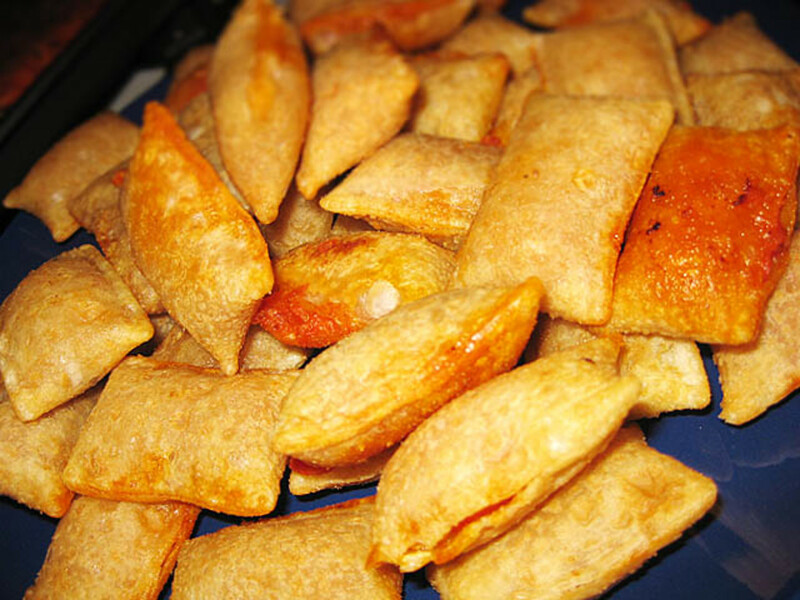 Flour tortilla quarters would do in a pinch. Buy your favorite commercial hummus flavor and serve with pita or tortilla quarters. You can make your own with canned chickpeas, but I prefer to used dried chickpeas. I find the canned chickpeas are too firm. I also use garbanzo powder and follow the package directions for hydrating. 1. Soak chickpeas 8 hours. Cook until soft, and drain. 2. Break apart chickpeas in a food processor. 3. Add tahini, garlic and lemon juice. Process until smooth. Salt to taste. 4. Heat oil in a skillet. Add cumin and heat until slightly browner. 5. Empty chickpea mix onto plate. 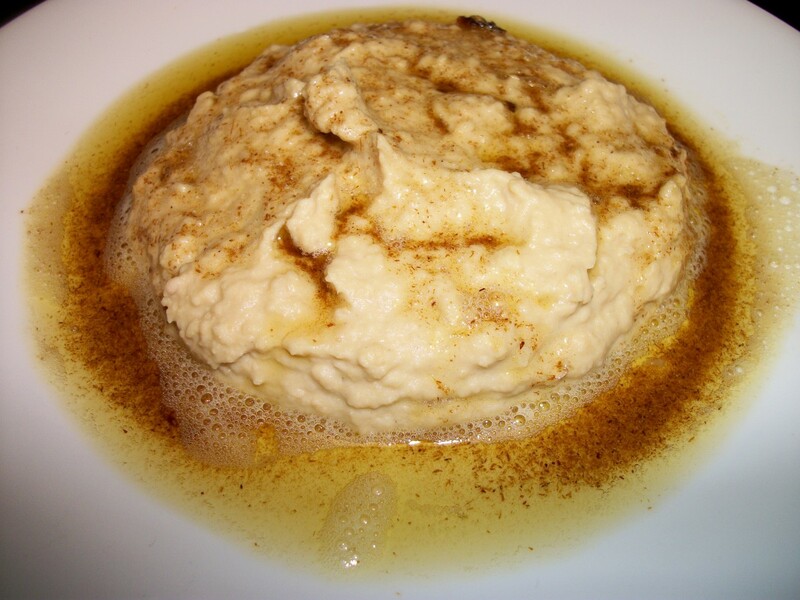 Pour cumin oil over the top of your hummus. Serve on pita or tortilla quarters. 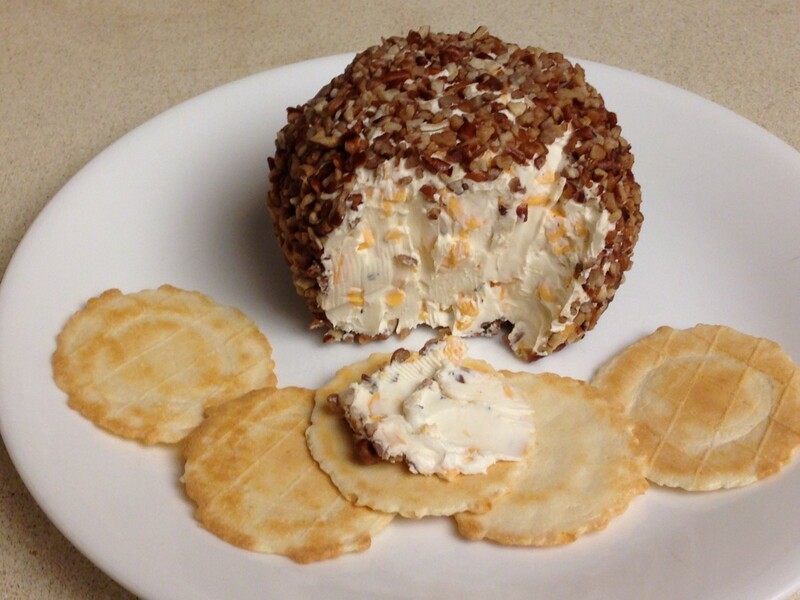 The basic cheese ball is usually made with cream cheese and shredded cheddar cheese. Additions include ranch dressing mix, or chopped herbs such as chives or dill. 1. Place softened cream cheese in a bowl. Add cheddar cheese. 2. Add ranch powder or herbs if desired. 3. Mix well and form into a ball. 4. Roll in 1 ½ cups of chopped pecans. 1. Combine grape jelly with chili sauce. Alternatively use 1/2 cup mustard instead of chili sauce. 2. 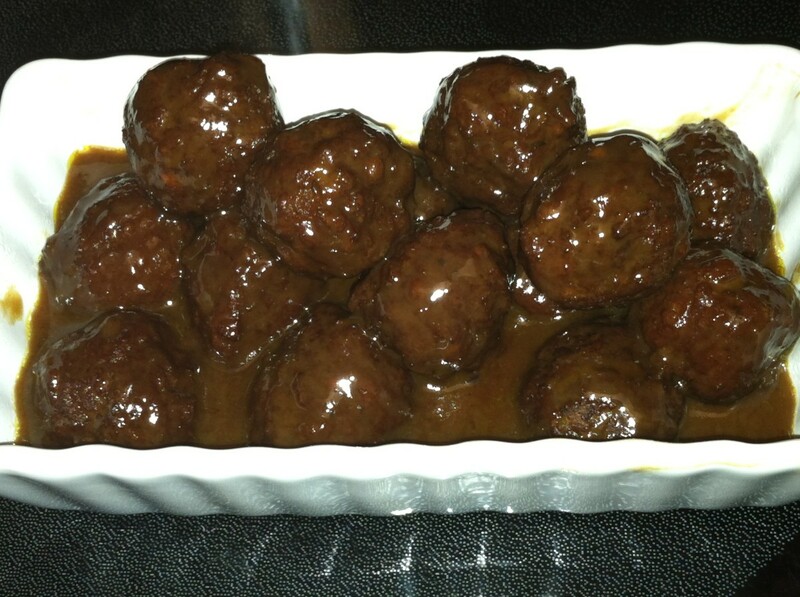 Add meatballs, and simmer for 30 to 60 minutes. Transfer to crock pot to stay warm. Alternatively, prepare in crock pot cooking 4 to 6 hours on low. 1. Cut wieners into ½” to ¾” pieces. 2. 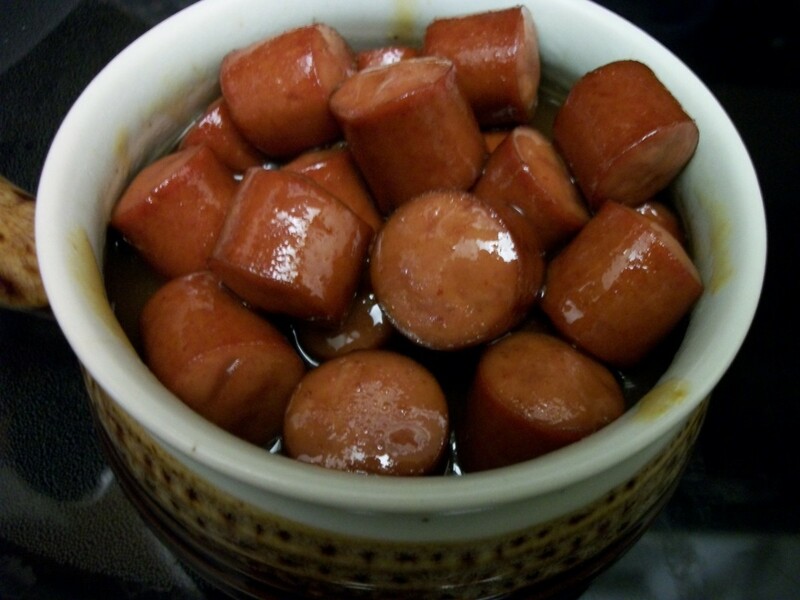 In a saucepan combine wieners with one bottle of your favorite barbecue sauce, enough to coat wieners. They do not have to be completely submerged. 3. Heat 30-60 minutes. Transfer to crockpot to keep warm. 1. 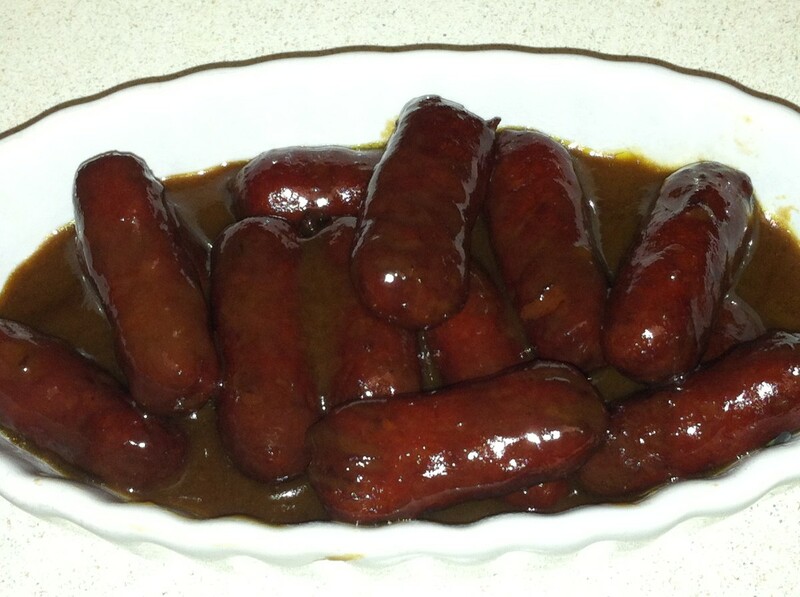 Place sausages in a saucepan. 2. Combine brown sugar, mustard, and water. Pour mixture over sausages. For more sauce ideas, see my article, 18 Sauces for Cocktail Meatballs, Weenies, and Sausages. 1. Cut bacon into 1/3 to ½ slices, about 4 inches long. 2. 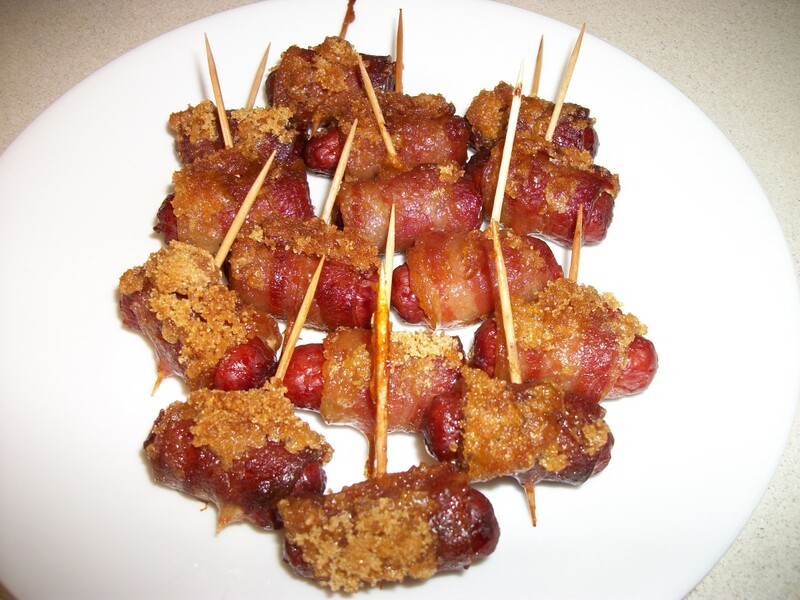 Wrap bacon around Lit’l Smokies sausages and secure with toothpicks. 3. Place smokies in pan and sprinkle with brown sugar. 4. Bake at 350° for 50 minutes. 1. Cook chicken until it easily falls apart. I cook chicken in crockpot overnight, and it stirs apart with no need for chopping. 2. 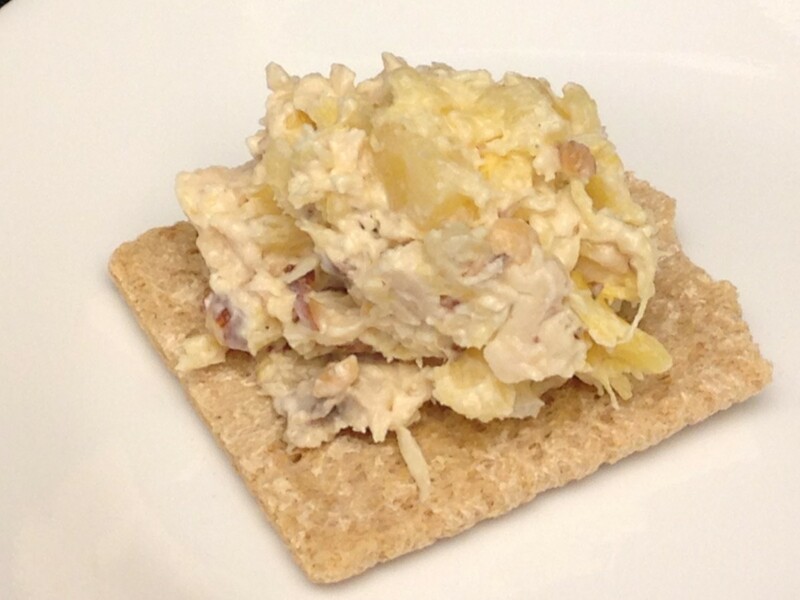 Stir in cream cheese spread, nuts, and dried fruit. 3. 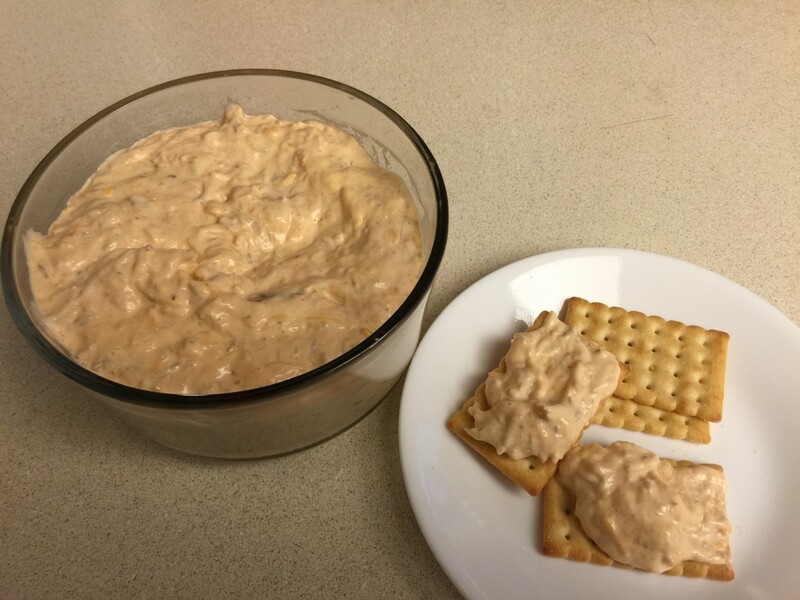 Serve on crackers or melba toast. 1. Blend mayonnaise into cream cheese. Add in chopped herbs if desired. 2. 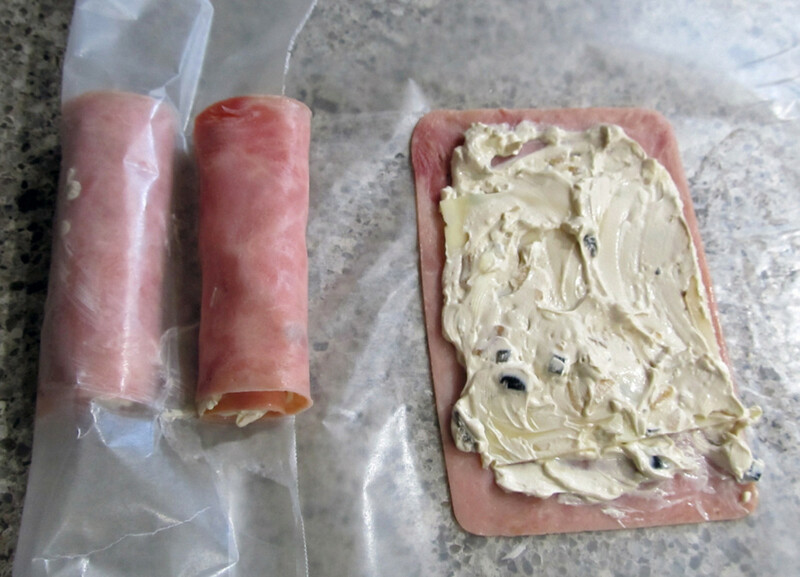 Spread cream cheese mixture onto ham. 3. 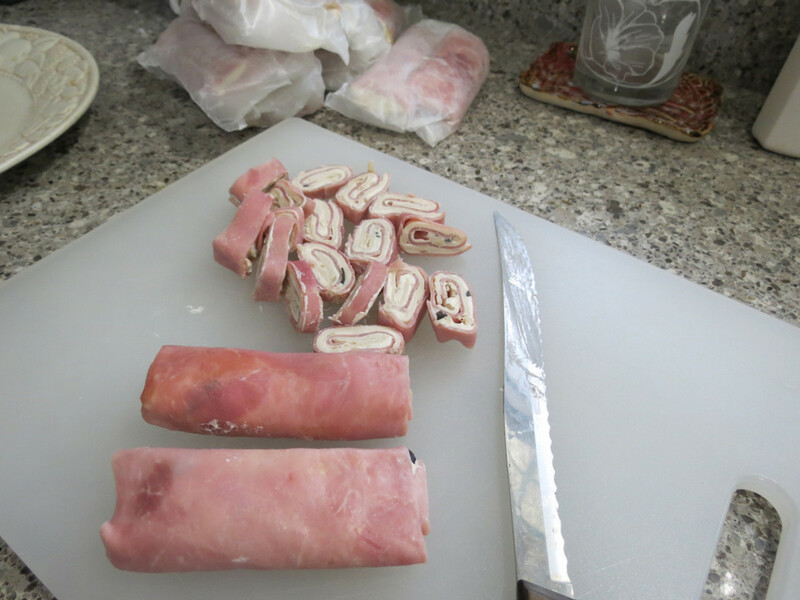 Roll meat and secure with plastic wrap or toothpicks. 4. Refrigerate to allow cream cheese to become firm again. 5. Cut like cookie dough, about ½” thick. Secure with toothpicks or serve on top of crackers. Buy 1 pkg shrimp salad, such as from Costco. It has a light coating of dressing and tiny diced celery. Buy 1 pkg precooked shrimp, deveined, shelled, tail off, size 40 to 50 per pound or larger. If frozen, run under water to thaw. What's not good wrapped in bacon? Nothing I can think of. 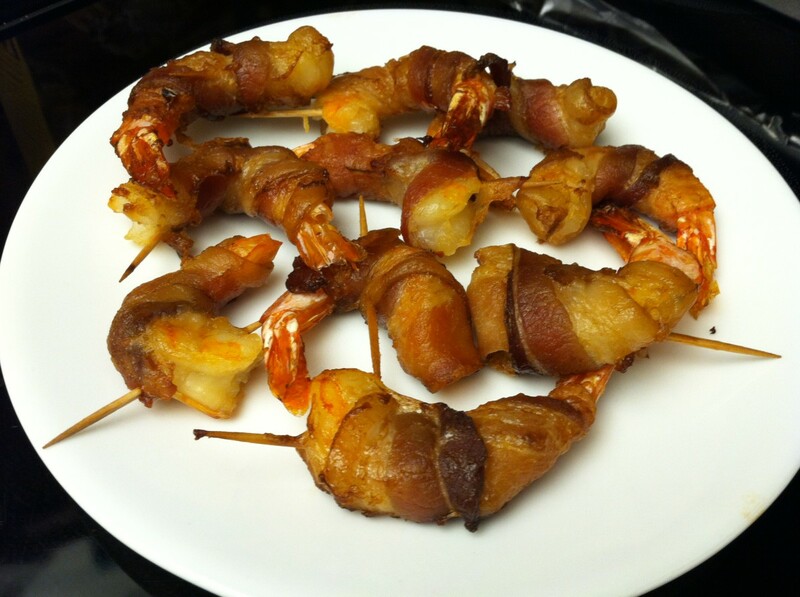 Try some bacon-wrapped shrimp. 1. Heat bacon long enough to be pliable. Cut into halves or thirds. 2. Wrap bacon around shrimp and secure with toothpick. 3. Bake 10 minutes at 350. 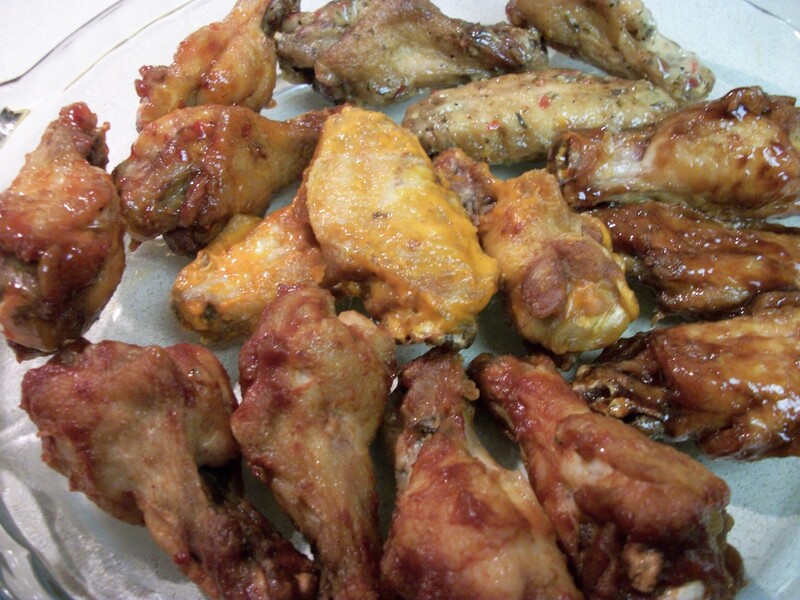 Chicken wings, hot wings, or Buffalo wings are very popular. There are loads of recipes out there, but I would probably stop in at Buffalo Wild Wings, which is only 2 blocks from my house. The picture above is as sampling from BWWs. I also have bought frozen wings from Schwan's. This was so much easier than I expected! I was afraid I’d have an unmitigated mess, but I dipped the sausages and fried them up without any drama. I used small sausages, but you can use 2”-3” wiener pieces. 1. Bake sausages 30 minutes at 350 degrees. Set aside to cool. 2. Prepare Jiffy mix according to package directions. 3. Pour about 3” oil into a 1 1/2-2 qt saucepan and heat until very hot. 4. 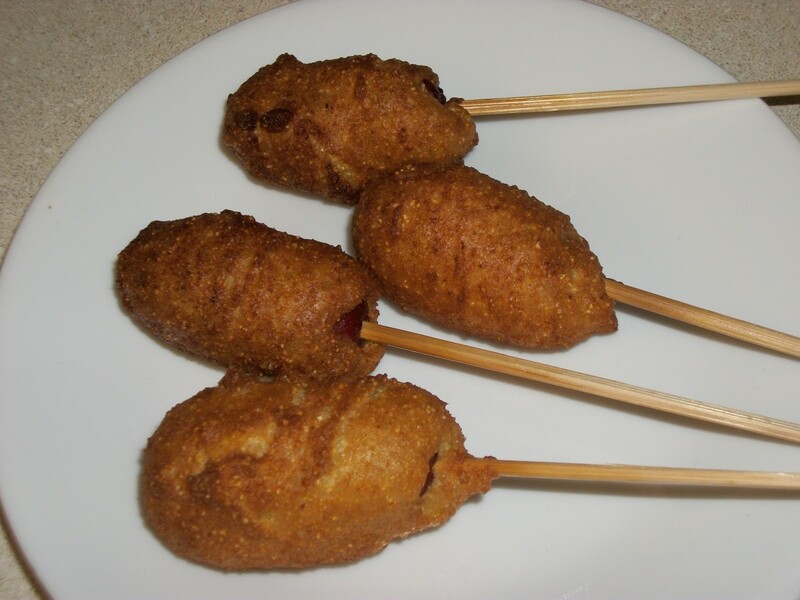 Put Smokies on skewers, then roll in cornbread batter. 5. Ease battered Smokies into hot oil 1-2 at a time. 6. 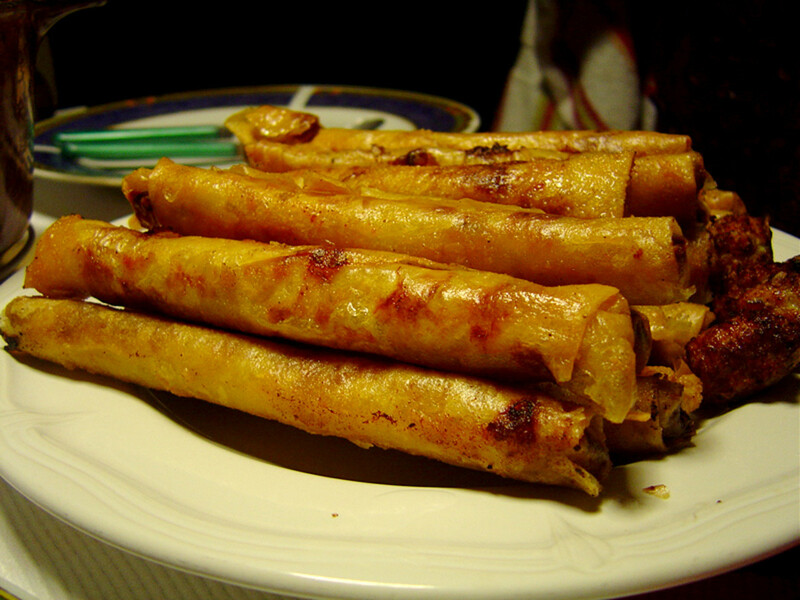 Hold onto skewers, being careful not to let mini corndogs touch each other, and deep fry for 15-30 seconds, until golden. 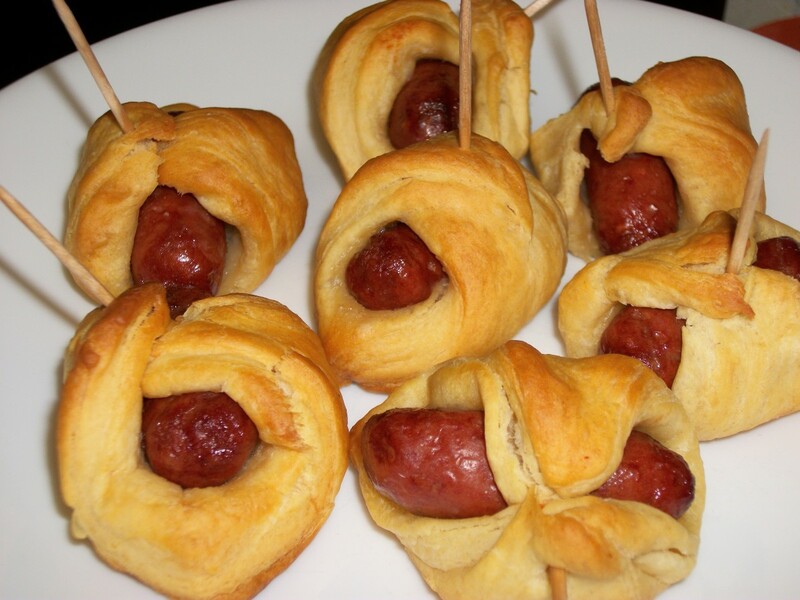 Pigs in a Blanket are typically made by wrapping wiener pieces and cheese in biscuit dough. I used Lit’l Smokies sausages and biscuits. You can also use crescent roll dough, cut in pieces. 1. Bake sausages 20 minutes at 350 degrees. Set aside to cool. 2. Cut biscuits in half. Wrap each sausage in biscuit piece. 3. Bake according to biscuit package directions. 1. 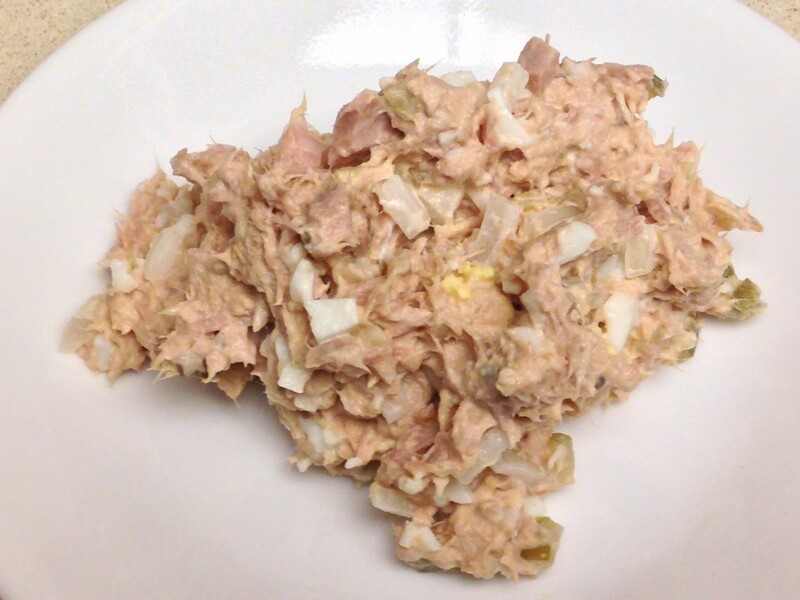 Combine tuna and other ingredients. 2. Adjust pickles and mayo to desired taste and consistency. 1. 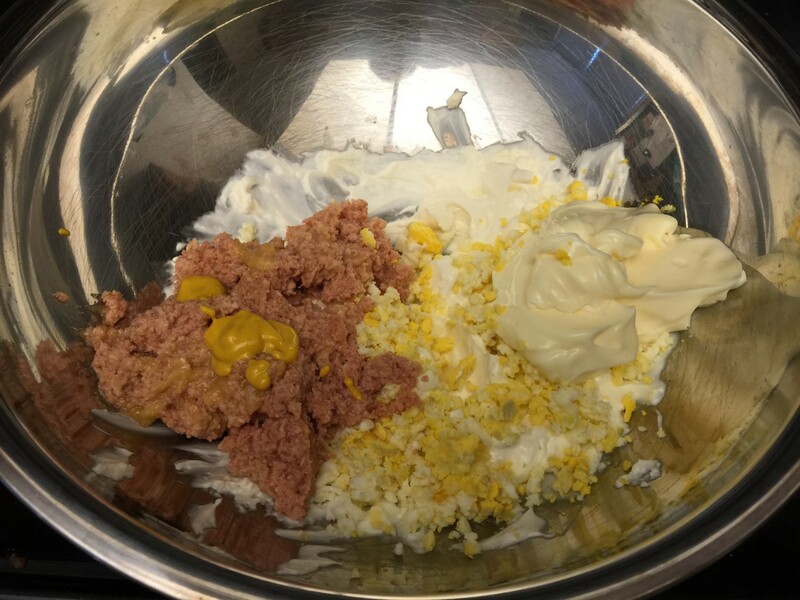 Combine ham spread with cream cheese, mustard, mayo, and egg. 2. Serve on bread, crackers, or with raw vegetables. 1. Drain crab and place in bowl. 2. Add mayo, cheese, horseradish, and dressing. Stir to combine. 3. Serve chilled with crackers. I come from "plain folk". When I go home to Carolina to visit, church gatherings still include old school sandwiches. 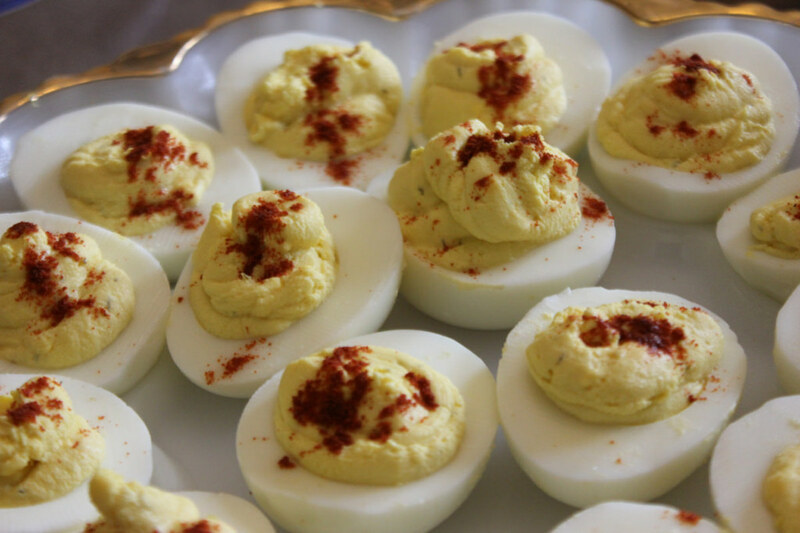 You can almost always find pimento cheese sandwiches and boiled ham sandwiches. My mom sometimes made homemade chicken salad sandwiches. These are all good options. 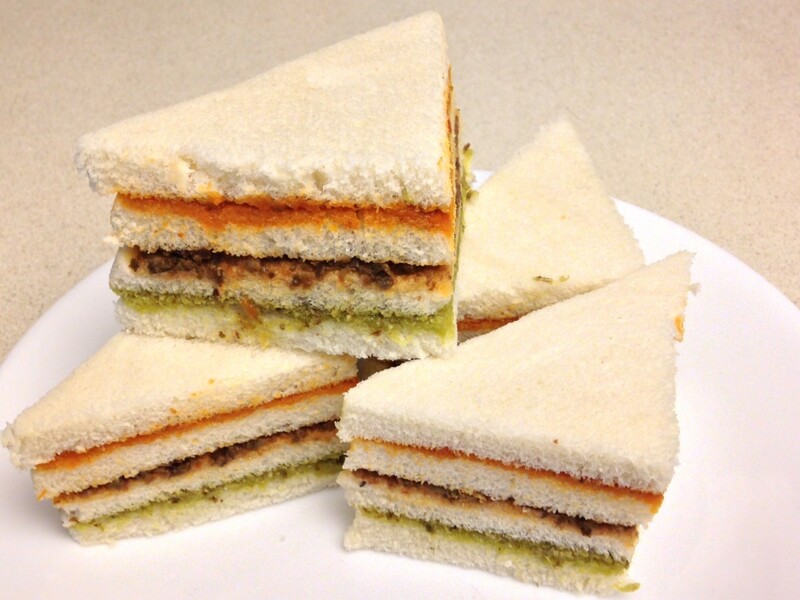 A big consideration is to beware of fillings like tuna salad on regular white bread, which would get soggy. Peanut butter and jelly sandwiches would be great if your gathering includes kids. Spread a thin smear of peanut butter on both breads, then jelly in the middle, to prevent the soggy problem. 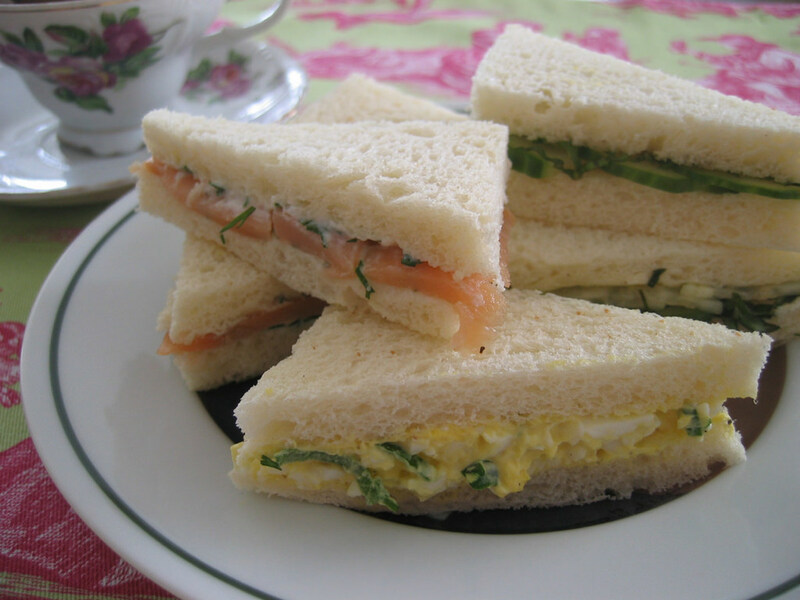 In some parts of the planet, cucumber and cream cheese, and watercress butter sandwiches are mainstays of afternoon tea. I went to a house warming party once where my friend got two submarine sandwiches, about four foot long each, and cut them into two-inch wide pieces. That's a pretty cool party idea. Sliders are relatively new to the scene, compared to the time-honored traditional sandwich. 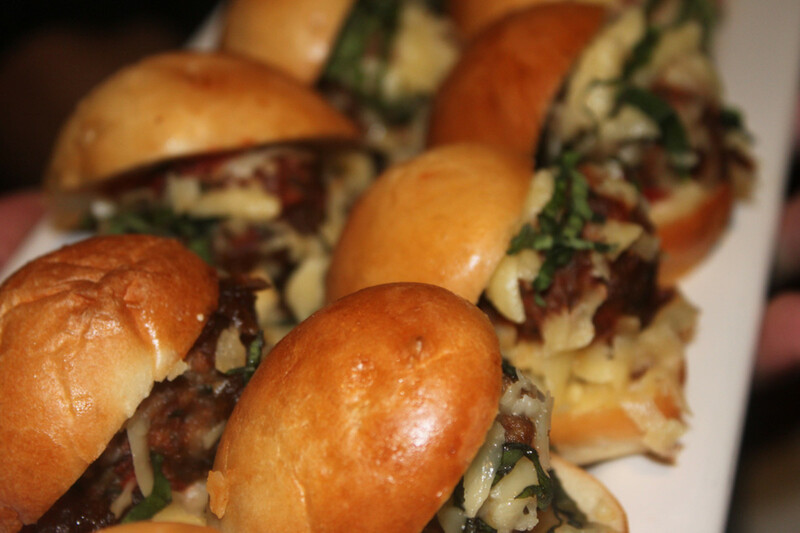 I think the first time I saw sliders, they were mini hamburgers, usually offered on restaurant appetizer menus. Before sliders were a thing, there was White Castle! You can now get White Castle burgers in the frozen food section. That's what I would do for a party. I've also seen some yummy looking slider sandwiches I'd like to try, like gooey oven baked ham and cheese sliders, on Pinterest. I did a quick internet search and found that mini hotdogs and mini hotdog buns exist. Just sayin'. Wraps are popular. 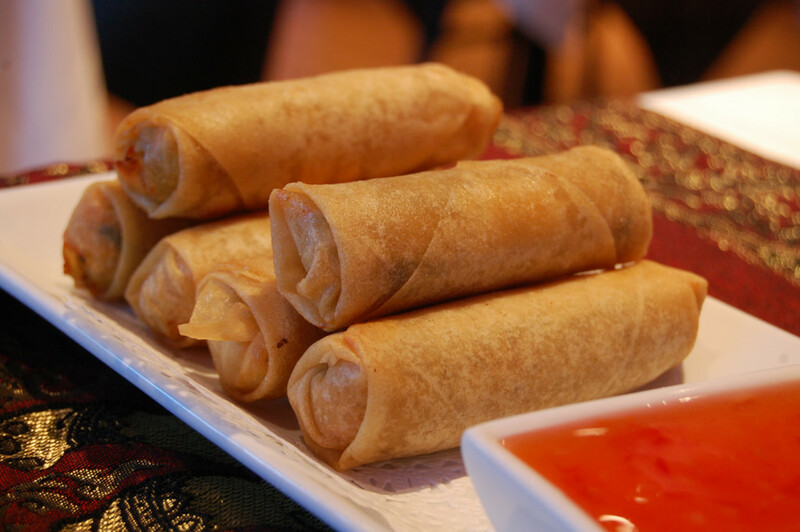 They are basically sandwich stuff rolled in a tortilla or wrap. 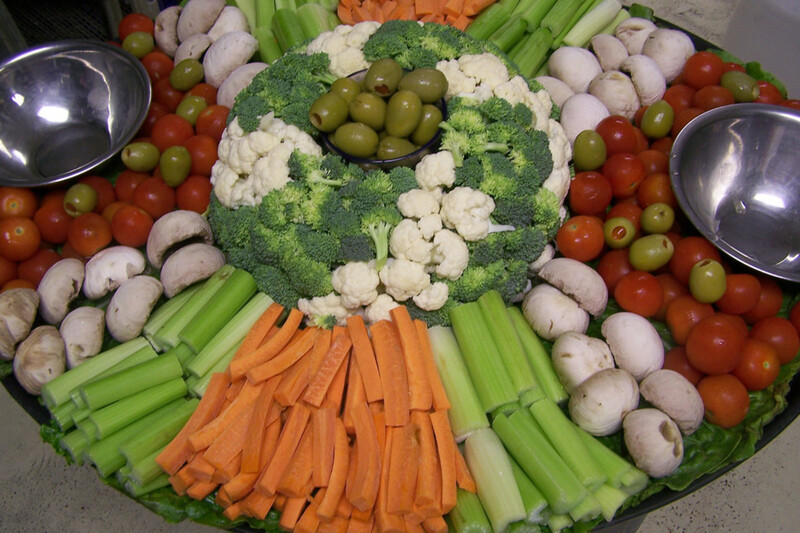 For party trays, they are typically cut into one- to two-inch rounds. 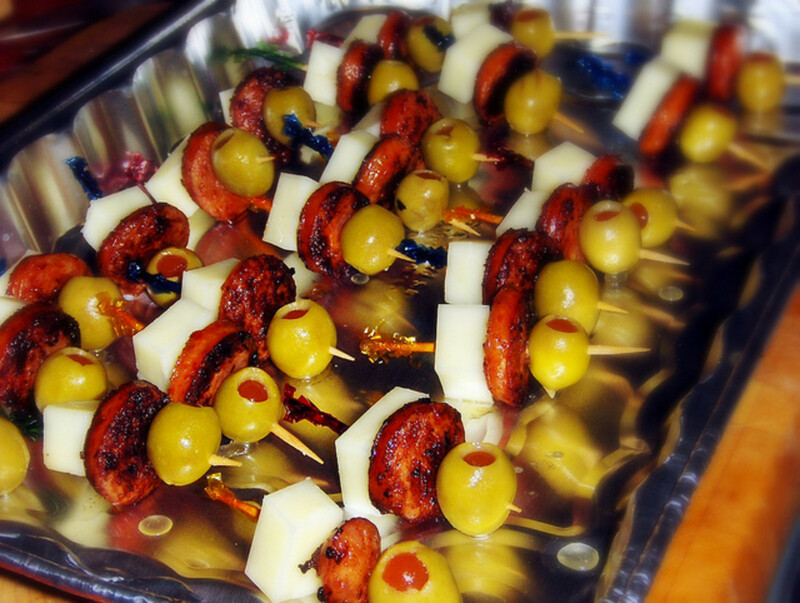 Make “Mini Kebabs” on toothpicks or skewers. 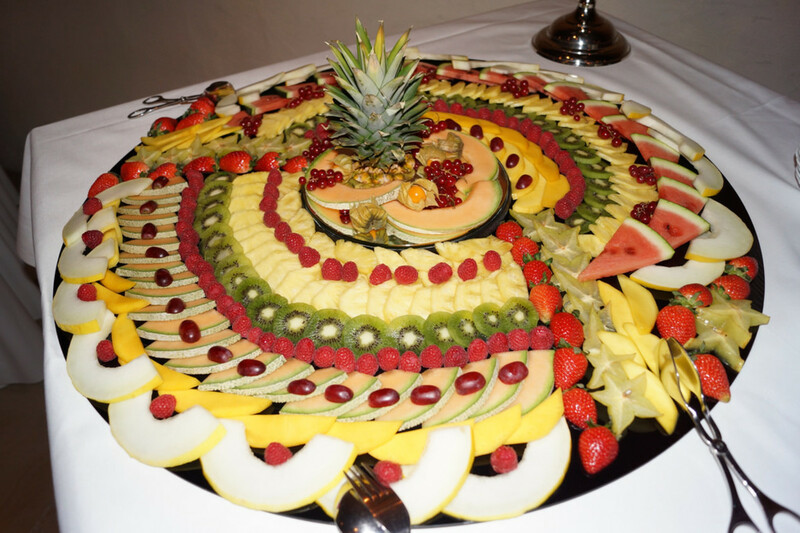 This is an especially good idea if you want to make your fruits, vegetables, and olives into finger foods, instead of having trays of them, with some items requiring forks. Mix and match on the skewer within categories. You could have skewers alternating tomatoes and cucumbers, or alternating colors of peppers. Try three olives on a toothpick, all green or all black, as well as some with alternating green and black. 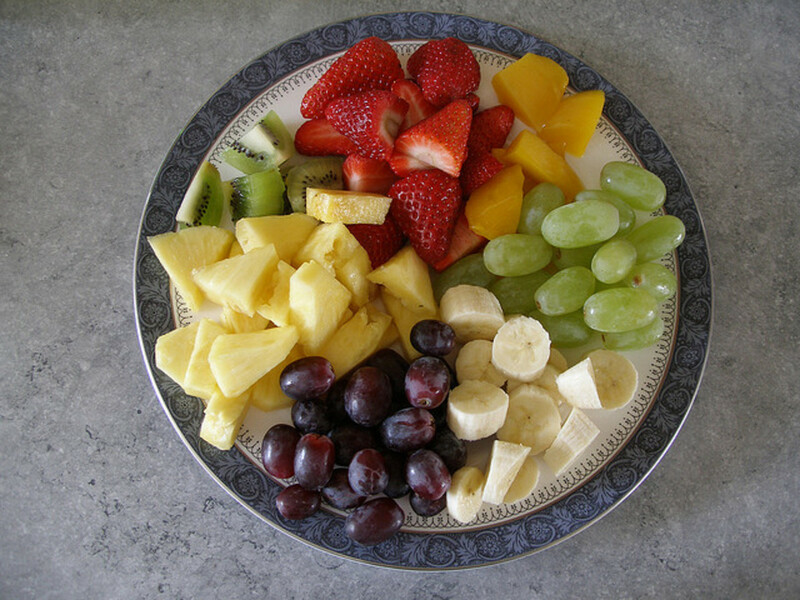 The combinations of fruits are endless. Tator Tots: These minced potatoes shaped into little cylinders are in the frozen section of the grocery store. Bake according to package directions. They are very popular, especially with kids. 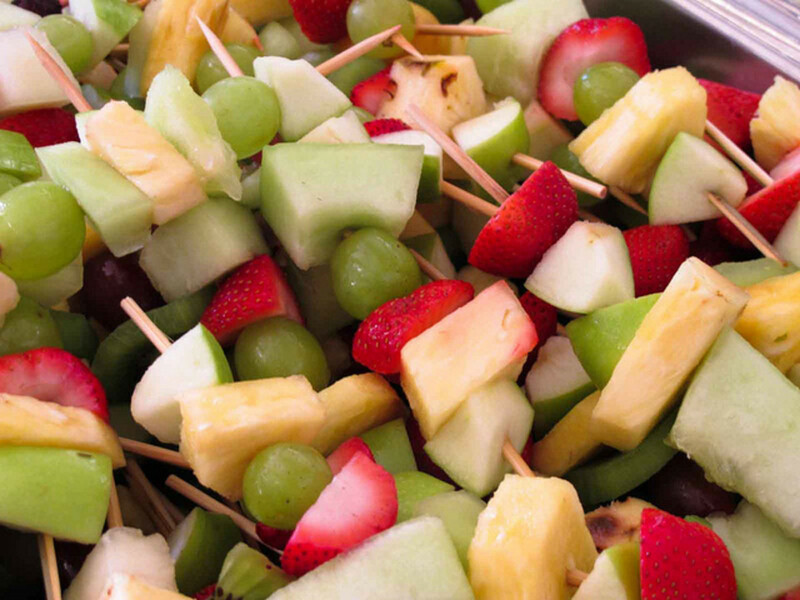 Serve on toothpicks. Have ketchup on the side. Cocktail meatballs, weenies, and sausages: See above for sauces and tips. While these foods could be served on a plate and eaten with a fork, any of them could be served on toothpicks. Try using the miniature sized paper cupcake and muffin liners to serve dry items. This may be especially helpful if you are having a large gathering and you want to help the serving line move along. 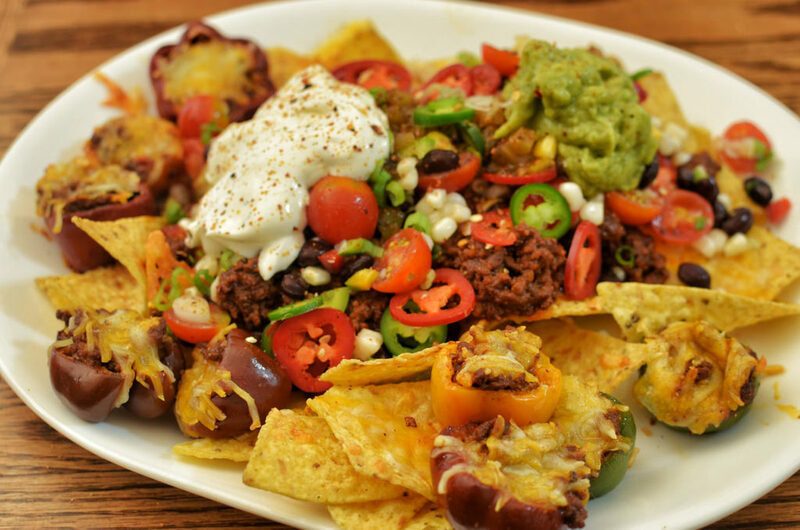 Nachos: Spread a single layer of tortilla chips on a baking sheet. Sprinkle with cheese. Heat until cheese melts. If you’re feeling a little more adventuresome, drizzle your favorite canned chili, then cheese. Heat, then top with salsa. 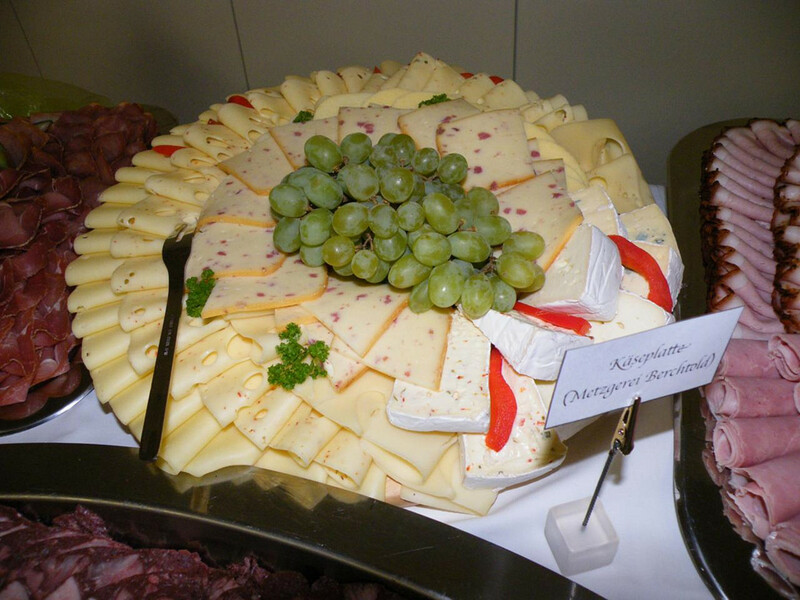 Cheese and Crackers: Buy a package of mixed cheese. Sam’s, Costco, and many grocery stores carry trays with four kinds of cheese cut into strips. All you have to do is cut each slice half, or into three pieces. Serve with an assortment of crackers such as Triscuits, Wheat Thins, and Sociables. Celery with Cheese: Buy celery hearts. Cut stalks into 3” pieces. Squirt Cheese Whiz into rib. Chex Party Mix: In “the old days” we had to buy Chex cereal, pretzels, and nuts and drizzle with butter and heat to make this. 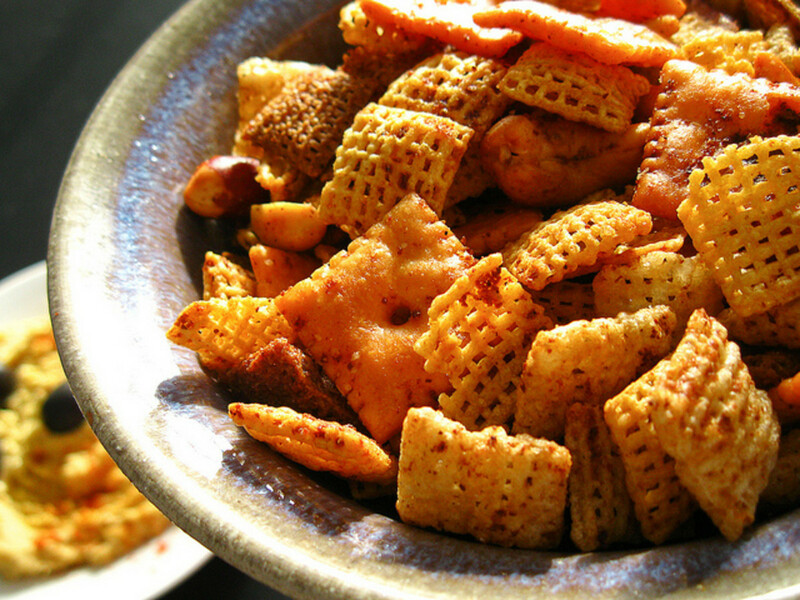 Now you can buy Chex Party Mix that you just pour out of the box. Cupcakes or muffins: Buy a package mix for cupcakes or muffins. 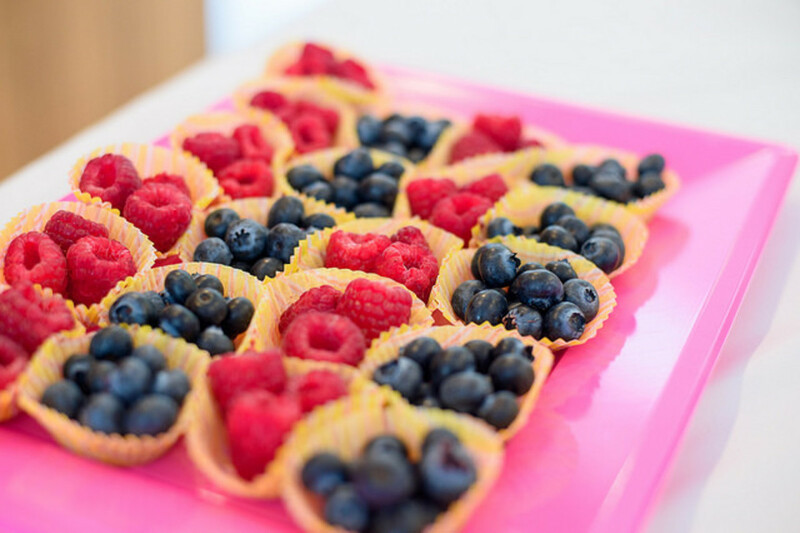 Bake in miniature muffin pan. 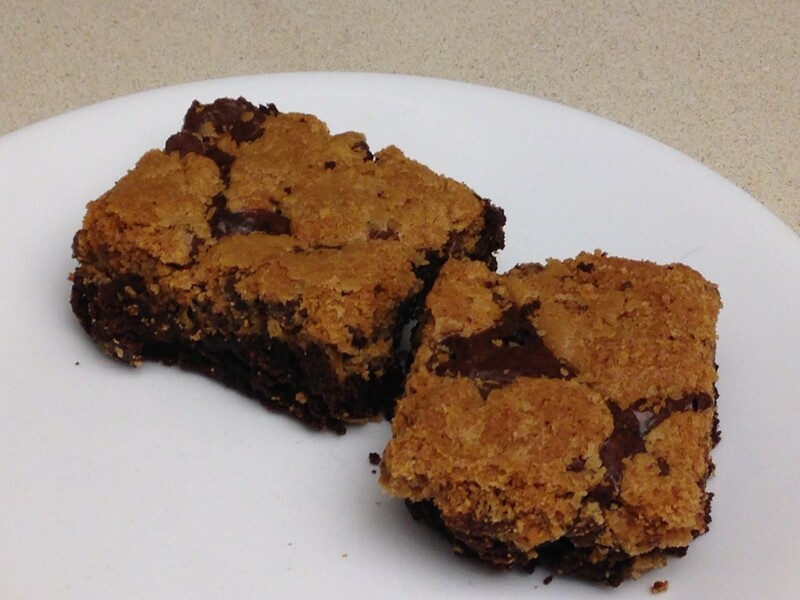 Brownies: There are loads of choices in boxed brownie mixes. Kiss cookies: Buy sugar cookie dough in the refrigerator section. 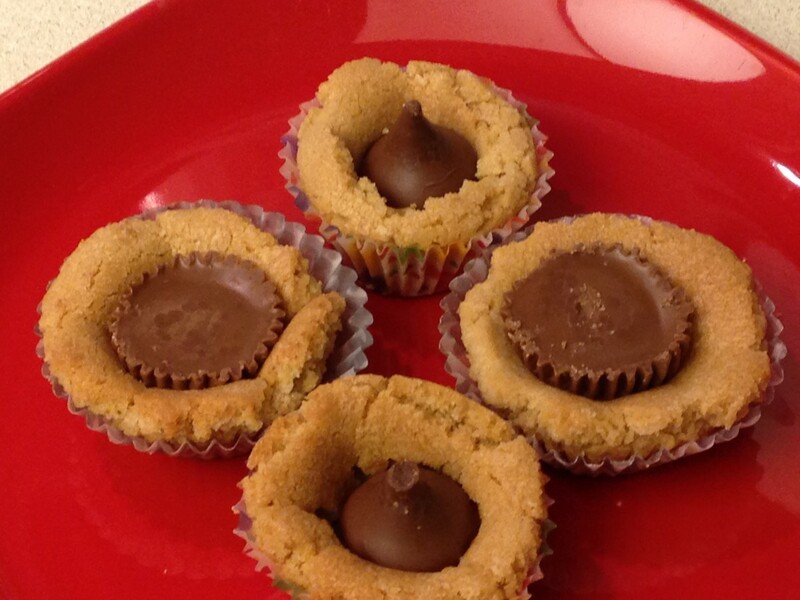 Cut cookies, place on baking sheet, press unwrapped Hershey’s Kiss into center. Bake according to package directions. Refrigerated cookie dough: Pick a favorite, such as chocolate chip, slice and bake. Mini pies: You can buy mini pie crusts. Fill with canned pie filling, such as lemon, cherry, or blueberry. Refrigerated rolls and pastries: You can get cinnamon rolls in bop tubes like biscuits. My favorite is one with orange frosting. You can also get fruit turnovers. 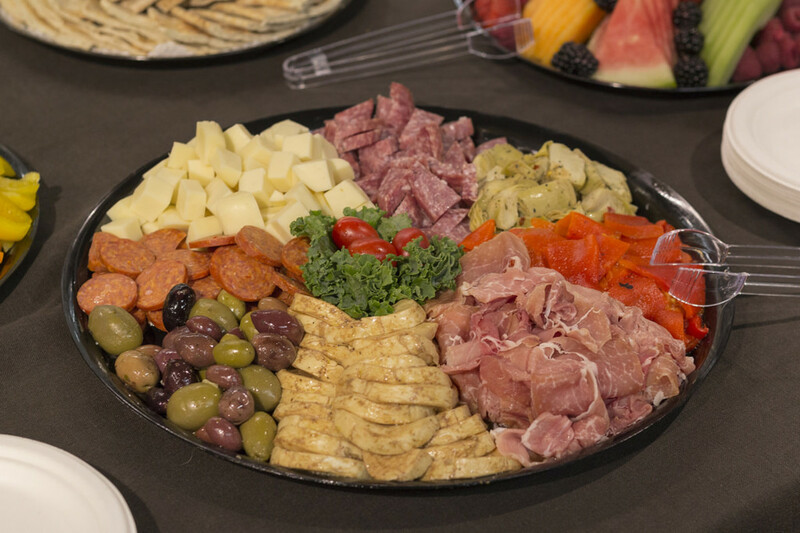 What's your "go to" party food? 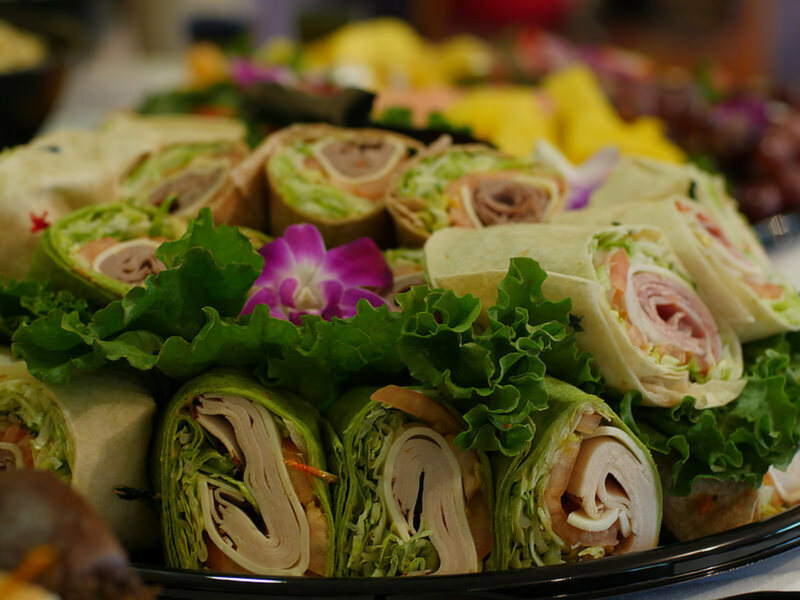 What a wonderful delicious choices I could have for a Christmas or any party gatherings. Thanks for sharing. 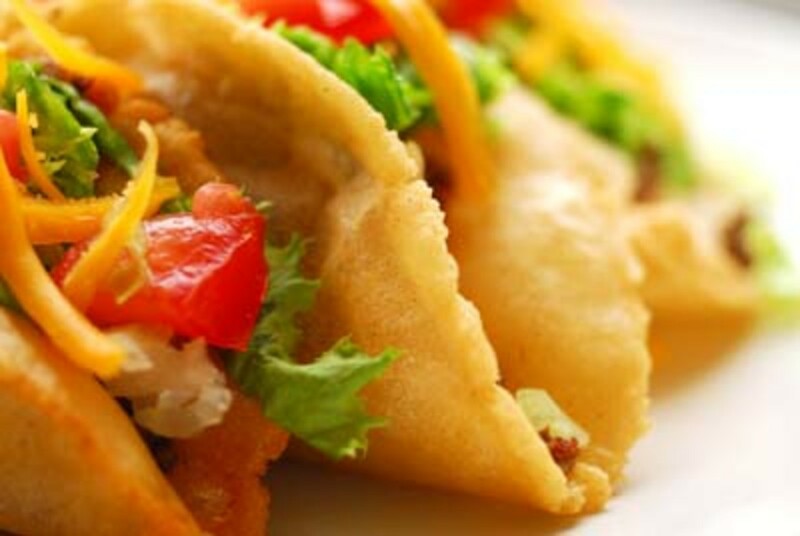 This is indeed quick and easy food to make. Merry Christmas to you and your family. Thanks so much gr82bme. I think it's a great little hub, but has seen very little traffic until recently. Thanks Sandy and Paradise for your ongoing support! judyd, I haven't tried the caramel dip yet. I got it from my family's church recipe book. Can't beat country church ladies when it comes to food, right? This is great for little get together. Nice! These suggestions are simple, easy and fast. I think I'll try the caramel dip. Sounds really good!